Add all popular Social Networks to your Website! You download the instruction how to create an account and we provide you with customized design. 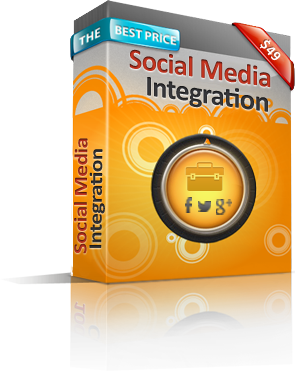 We will integrate Facebook, Twitter, Google+ with your website. All your social accounts will have unique custom design and will match your website. These accounts will be updated automatically on regular basis (for websites built on WordPress only). All access details will be provided.